We Provide the List, and the Checkmarks! With a million things to do and a limited time to do them, Senior Move Success provides you with your own Senior Move Manager and a list of services geared toward a smooth transition! We create a personalized plan of action. Every step is approved by you, and every box is checked, literally and figuratively. Client evaluation: We define your needs and wants—from how you prefer to pack your items to where you need them placed when you get to your new home. Through this process, you also get to know us. Please ask us any and all questions. Our goal is to make you comfortable and secure. Understanding the use of your current space so the new space can accommodate what you are already used to. Taking photos of your belongings as necessary to properly remember the placement of important items. Coordinating with the moving company and the new community. Preparing items to be packed in a respectful and organized manner. Preparing for the unpacking of items and your ability to get to them efficiently. Measuring your furniture and new space. Designing a floor plan that works best for you and your items. Arranging charity pick-up, storage, the sale or the shipping of items you no longer need. Assistance in hiring a mover you can trust and making arrangements to ensure your items arrive safely at your new home. Processing change of address with health care professionals, social workers, family and utility companies. Streamlining the packing and un-packing process and making sure everything is in its place. Adjust furniture and move personal items into place as already planned. Arrange for packing material pick-up. Stock essential groceries and sundries. Create a comfortable “first night” experience. 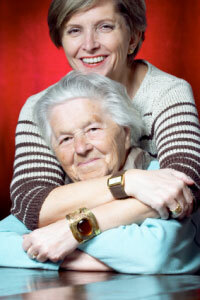 Senior Move Success is ready to assist you in your move, rejoicing in the exciting change that you’re ready to make! Call (410) 323-3853, or e-mail us to get started! Sit Back and Relax. Help Is Here!